These rhodium plated iraculous Medal earrings are perfect to complement any outfit for any occassion. 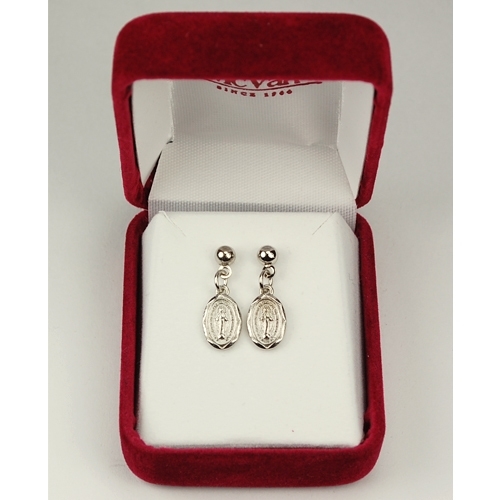 These make a wonderful gift for First Communion, Birthdays and Confirmation. Earrings come in a jewelers gift box.